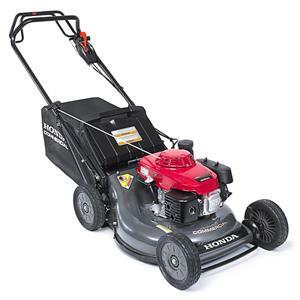 Honda Power Equipment added to its lineup of commercial lawn mowers. With the addition of the HRC216K3HDA, available nationwide in November, Honda now offers three HRC models. “With reduced weight for better maneuverability, rugged, durable construction and lower upfront costs, the new Honda HRC216K3HDA commercial mower is a smart choice for lawn and landscape professionals,” said Michael Rudolph, vice president of Honda Power Equipment. Powered by a Honda GXV160 commercial engine, the new walk-behind model is equipped with the Honda MicroCut Twin Blade System, which offers four cutting surfaces, and can be adjusted to eight different heights. At an operating weight of 121 pounds, the Honda HRC216K3HDA also features a 21-inch steel deck with front axle and bumper protection. The mower is backed by a one-year commercial warranty.